Family Of Four Are Sitting On The Sofa In The Living Room Of Their Home Together. The Father Has His Son On His Shoulders And The Little Girl Is Sitting Next To Him. Royalty Free Fotografie A Reklamní Fotografie. Image 68981205. 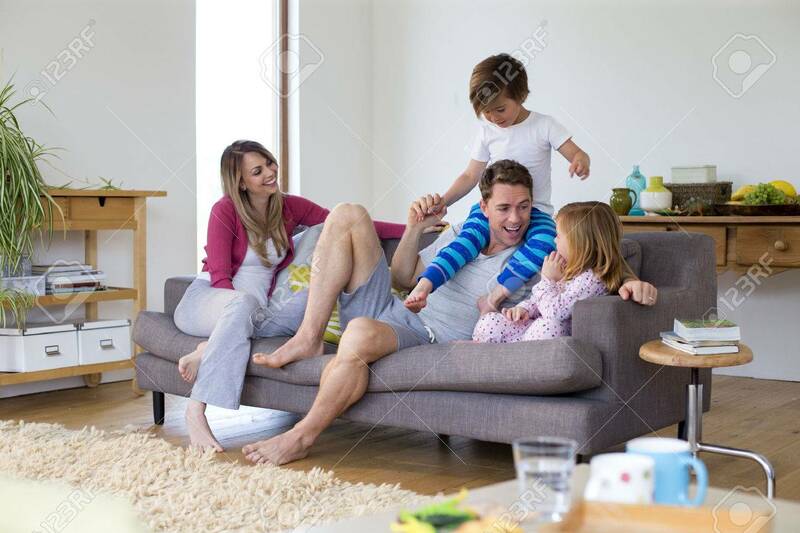 Reklamní fotografie - Family of four are sitting on the sofa in the living room of their home together. The father has his son on his shoulders and the little girl is sitting next to him. Family of four are sitting on the sofa in the living room of their home together. The father has his son on his shoulders and the little girl is sitting next to him.